Vanessa is one of the owners of Sunnyside Bicycles in Fresno and Reedley. From time to time she will be doing a column for us with bicycle tips and the latest news from Sunnyside Bicycles. 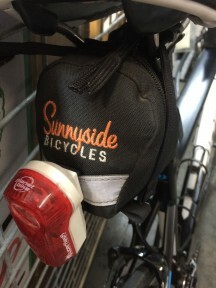 There is also a coupon at the end of this post for Sunnyside Bicycles, exclusive to KRL. You can learn more about Sunnyside Bicycles in an article right here in KRL. It’s Back-to-School time, and that means lots of kids and adults are riding their bikes to get back and forth to school. Our service departments at both locations have been busy tuning up bikes and doing free safety checks to help make everyone’s commute a smooth one, and we wanted to share a few quick things you can do at home to help make your ride to school better. •	Before you roll out the door, check to make sure your tires are properly aired up. On the side of your tire, you’ll find a recommended tire pressure. 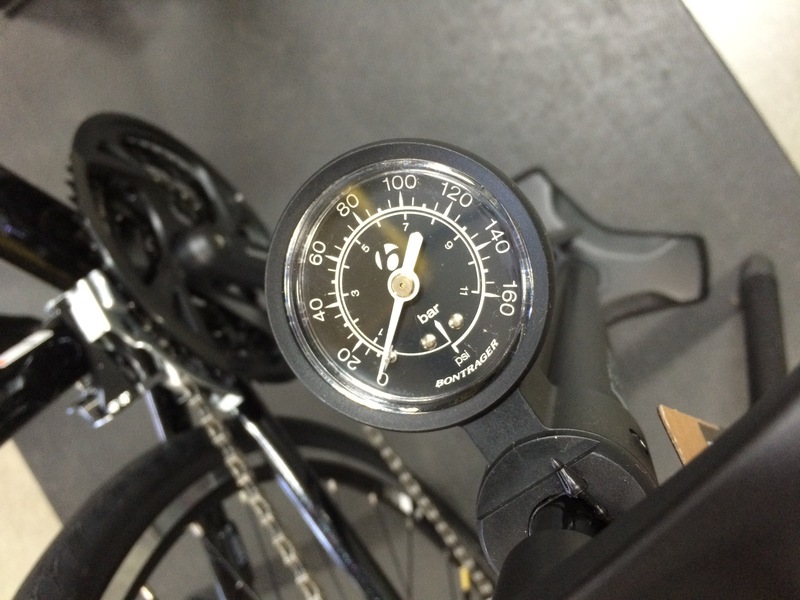 Using a good floor pump with a pressure gauge, inflate your tires to the recommended pressure. (Some tires will give you a range; inflating tires to the higher of the two numbers in that range will make you roll a little faster.) You might be tempted to gauge your tire pressure by feel alone, but most people are way off when estimating tire pressure just by squeezing them. Using a floor pump and gauge will help you roll more efficiently. •	While you’re looking at your tires, check to make sure that your sidewall is not damaged, and that there are not any cracks or cuts in the tire itself. •	Check your brakes to make sure they are working properly. Are the brake pads touching your rim when you squeeze the brakes? Does your wheel spin freely and not rub the brakes? Does your bike stop when you apply the brakes? •	Keep your chain clean and lubed. Make sure your chain does not fall off the gears when you pedal the bike. •	Ensure that your wheels are secure in the frame. If you have quick release levers, make sure that they are properly tightened and closed all the way. Do not leave them in the open position! If you have regular axle nuts, put a wrench on them and make sure they are properly tightened and secured. Taking just a few minutes to check these things can save you hours of frustration later! 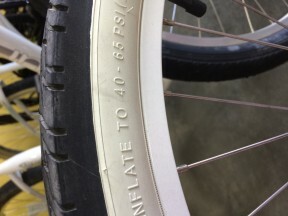 And while we’re on the topic of frustration prevention, it’s a pretty good idea for anyone riding their bike to school to be prepared to fix a flat. Riding in the beautiful Central Valley means we are probably going to encounter a goathead thorn or two (or 20) at some point. There are a few things you can do to help prevent a puncture flat (e.g., thorn resistant tubes, sealant, liners), but it is always a good idea to carry a flat repair kit with you in case of emergency. We recommend everyone always carry a spare tube, tire levers, patch kit, and inflator with them. You can toss them in your backpack or stick them in a little bag designed to mount on your bike. The kit doesn’t take up that much room or cost too much, and can really save the day when you need it most! If all of this sounds great in theory, but makes no sense when you’re staring at your bike, we are always more than happy to help show you what we mean. Stop by either location at any time and any of us would love to walk you through the pre-ride checklist, flat prevention, and repair kit. Or if classes are more your style, come to one of our clinics where we walk you through all of this. “Bikes 101 with Vanessa” is an introduction to bikes and how the gears, levers, and everything else works, and our Flat Repair Clinics are hands-on, meaning we show you how, and then you change your own flat on your own bike. (Class size must be limited for the Flat Repair Clinic to be effective, so please be sure to reserve your spot for the next class.) Details on all of our clinics and bike rides can be found on our website, www.SunnysideBicycles.com, and our Facebook page, www.facebook.com/sunnysidebicycles. It is our mission to educate, empower and inspire as many people as possible to ride bikes as often as possible, so please don’t hesitate to let us know how we can help you choose to go by bike more often!